Beat the eggs and add the oil, water and vanilla essence. Mix well. Sift together the dry ingredients and add to the wet ingredients, combining gently. Pour mixture into a non-stick baking tin and bake for 30 minutes at 180°C, or until cooked through. Optional: Spread with chocolate icing or dust lightly with icing sugar. These delicious recipes are perfect for enjoying in front of a fire on a cold, winter’s evening. The recipes are both a source of fibre and the soup is a great way of adding vegetables and legumes to your diet. 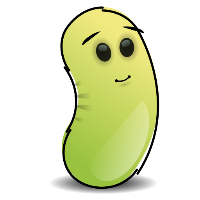 Our range of legumes are naturally high in protein and have a low GI. They are ideal for adding to soups or stews. the oil for about 10 minutes. a further 5 minutes, while stirring. further 10 minutes, or until the pasta is cooked. parmesan, if desired. Click on Mr Bean to download this recipe. 1. Mix dry ingredients together well. 3. Pour into greased 20cm square baking tin. boiler or in the microwave.